Don horses come from Russia. They are the spawn of one of the most famous horse styles to come from the early eighteen hundreds, the Cossacks, well known Russian warhorses that were built and bred for being strong, tempered, and very good during a battle. They however, were originally designed to be a smaller horse, but as time progressed they were made much larger. In fact, they were given blood lines from Arab styles as well as Karabakh versions to make a larger, more impacted horse. Quickly, they became recognized as one of the most popular breeds in the Russian military. Today they are well known for being resilient and able to take care of themselves. 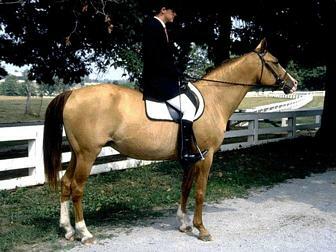 Don horses are used for riding and harness work in most cases. They can be very good in a competitive format as well. Most can be trained with ease and they are also very fast learners. They can be found in the areas of Ukraine, Vonoronezh, and all around the Russian Federation. They are famous in the world of horse breeds for their many purposes in the military. They are calm and very giving. They are good listeners and have the ability to be well maintained on their own. They can be taught how to roam freely on their own and how to fend for food all by themselves as well. They are a pretty yet tough horse. They generally stand at around sixteen hands. They have a fine head, a muscular frame, and very good bones. They are found in bay, chestnut, and gray shades. Additionally, they have rather hard hooves to aid in getting them through rough terrain most commonly found in farm land in Russia.